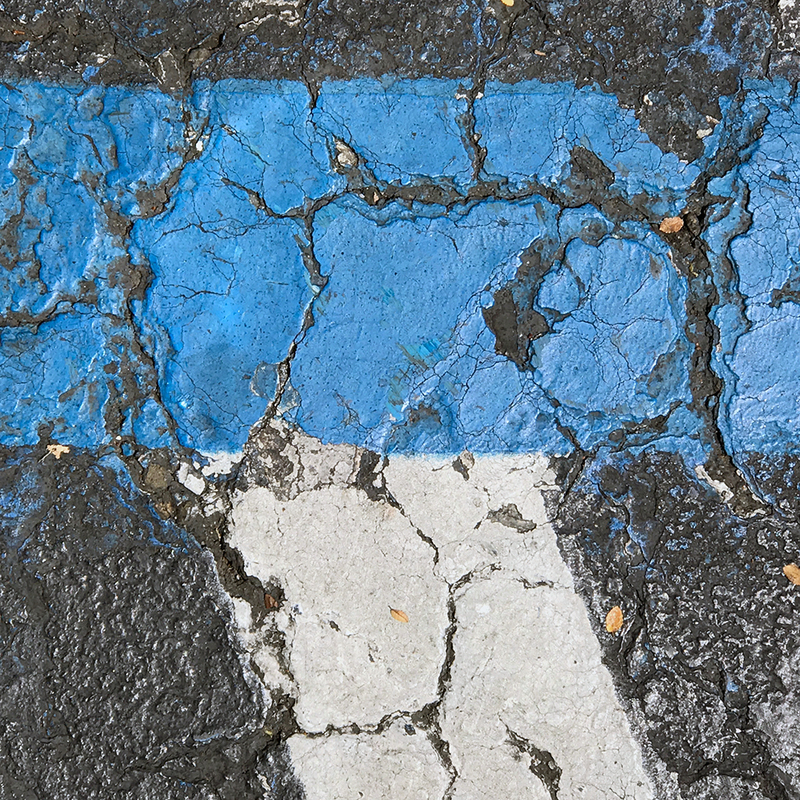 What would happen if an abstract expressionist had a job painting parking lot space indicators? S/he would have to stay inside the pattern (no thinking outside the box in that job). Perhaps applying thick paint, scraping off and re-applying would be one technique that could resist a supervisor’s frown, while being true to an expressionistic process. Below is an example of such a creation. This entry was posted in Personal Stories and tagged abstract art, abstract expressionism, art, artistic process, creativity, found art, pavement lines, street photography, visual arts. Bookmark the permalink.